Mother's Day is a special day. I always enjoy getting my mom something special that she will love. Since I got my silhouette a few years a go, I have started making most of my own gifts for people! I love it and it gives it that personal touch that you can't get at target. I have three gifts I've made personally that I'd like to share with you! I used a bin from Walmart to make this planter last year! 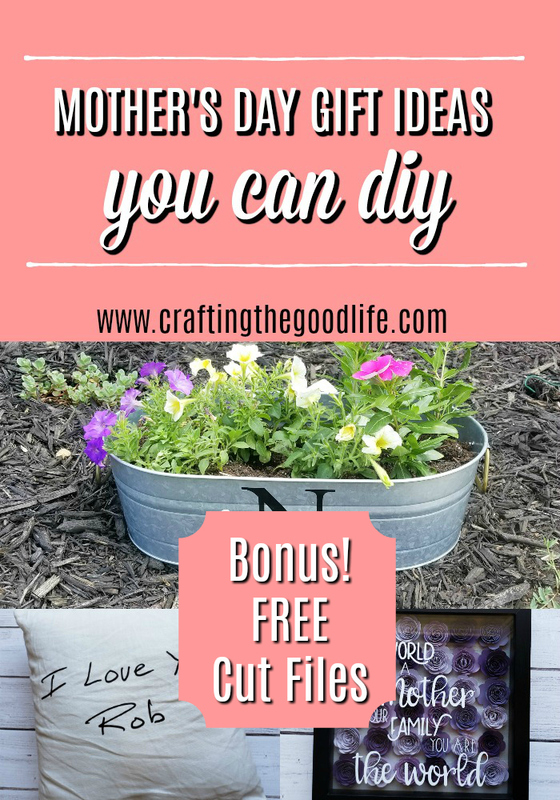 I think it makes a great gift for any family member who likes to garden or just likes to plant flowers at their house! I drilled 3 holes on the bottom so the water would drain, filled it up with soil, and planted the flowers! 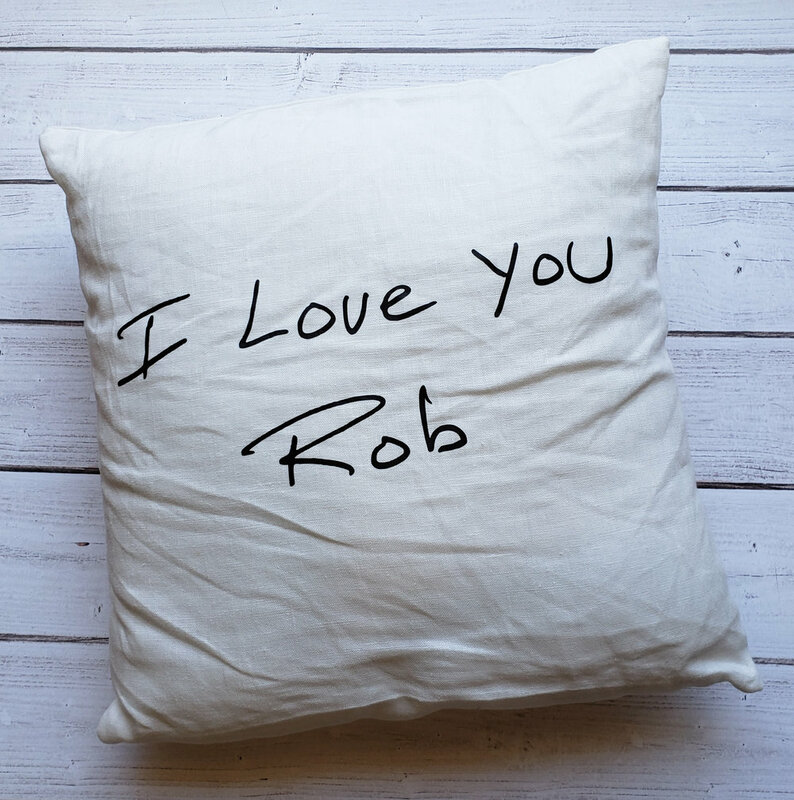 My dad always signs his cards "I love you, Rob" and I thought it would be so great for my mom to have a pillow with that on there! I was right...she definitely cried when she opened it! I had my dad write it out on a sheet of paper with a sharpie so I could scan and trace the words. I made the pillow cover myself and used black HTV for the letters. This project was very time consuming, but it turned out sooo cute! It was tough to get a picture of it, but I did my best! 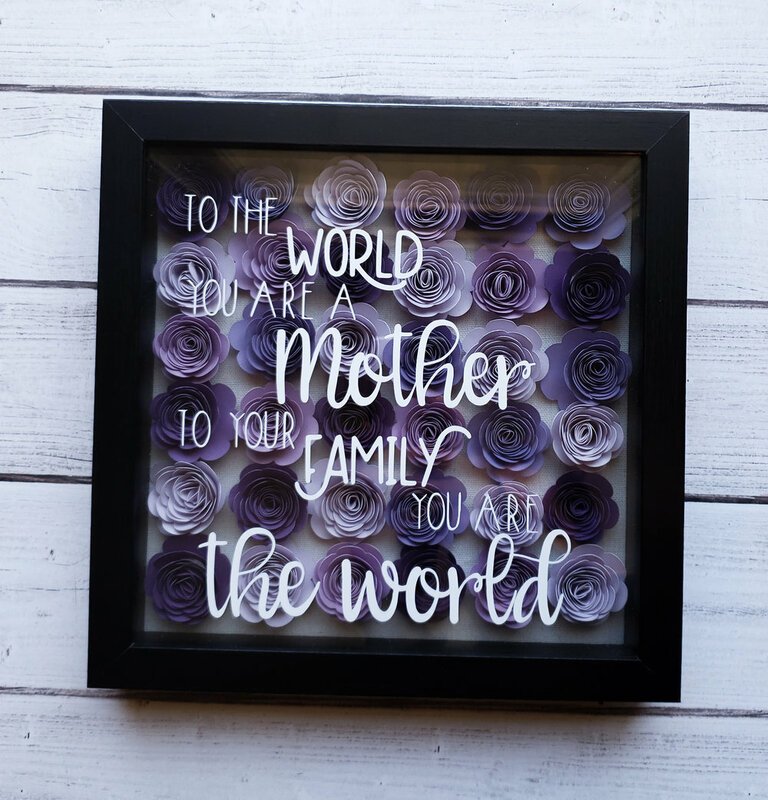 I designed the quote in my Silhouette Studio and used my silhouette to cut out each paper flower. I used this multicolored cardstock from Michaels so I could have all different but coordinating colors! I used hot glue to attach the flowers to the shadow box. I used white Oracle 651 for the lettering. Scroll down a bit for you free download of the rolled flowers and quote! Here is a video tutorial of how to roll the flowers. Want to make this one yourself? Click below for the PDF and Silhouette cut ciles!!! This one is only half DIY, but I LOVE making Mixbook Photo Books for my family members. I've made them for all of our vacations, our wedding, and one for the birth of our daughter. It is so easy to drag and drop photos and they have really cute templates! Its a touching gift that doesn't take too much time! They always have sales and ship really quick! Here are some snips from a few of the books I've done! What are you doing for you mom this Mother's Day?